Amos Oz represents the perfect example of a writer of stories and tales who should stick to writing and not trade on his unrivalled excellence and international recognition in that field to try and influence the course of Israeli politics. This becomes embarrassingly evident when considering his political opinions disclosed in an article written for the New York Times by Roger Cohen on 28 January. Israelis were really taken for suckers after unilaterally evacuating Gaza in 2005 - receiving in return the indiscriminate firing of thousands of rockets into Israeli civilian population centres as thank you presents since then. Israelis will not be suckered into suffering a repeat performance of such war crimes emanating from any areas of the West Bank ceded by them to the Arabs. Israel offered to renounce its claims to more than 90% of the West Bank in 2000/2001 and 2008 - but the Palestinian Authority insisted that millions of Arabs be given the right to emigrate to Israel and that any newly created state not be demilitarised. This was the kind of lousy deal that Oz must have had in mind when talking to Cohen. Oz insisted that at the end of the day some 70 percent on both sides — kicking and screaming and crying injustice — were ready for two states. The Palestinian patient seems strangely disinterested in submitting to such surgery - still insisting after 20 years of negotiations that such surgery requires cutting up the Israeli patient for spare parts. Oz is quite prepared to brand Israel’s recently elected Prime Minister a coward. Since the dovish side in Israel managed to gain only 21 out of 120 seats in Israel’s next Parliament - Oz’s hopes seem more like fiction than fact. Oz makes no mention of the Palestinian cowards who have refused to hold elections in the West Bank and Gaza since 2007. Obviously - according to the wizardry of Oz - it must also be a mystery to 549000 Israelis who voted for Lapid as well. This political slap in the face to their supposed lack of intelligence is insulting. The Peel Report had the same credo in 1937 - as did the United Nations in 1947. This credo was rejected by the Palestinian Arabs on both occasions. 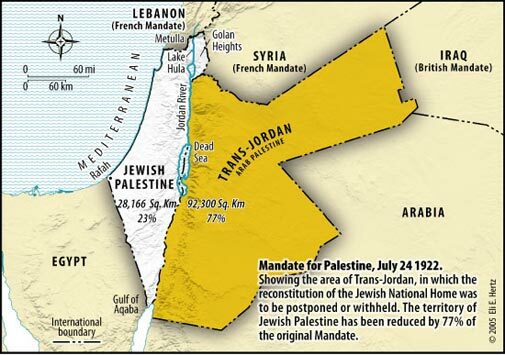 That credo was spurned by the Palestinian Arabs between 1948-1967 when not a Jew lived in Gaza, the West Bank and East Jerusalem after six invading Arab armies had driven them from their homes - choosing instead to unify the West Bank with Jordan and not take the opportunity afforded to them in those 19 years to create the independent state they now so fervently call for. Israelis will not now be suckered into doing what the Palestinian Arabs and their Arab brethren have so clearly rejected during the past 75 years. Twenty years of being played for suckers since 1993 has taken its toll on Israelis. Trouble is there is no longer any Palestinian Authority. It was decreed out of existence by “President” Mahmoud Abbas and buried on 3 January 2013 alongside the Oslo Accords and the Bush Roadmap. Will Israelis be suckered into believing that Hamas may change - that Hamas will never end up taking over the West Bank as happened in Gaza in 2007? Conquering Haifa and Jaffa by getting rid of the Jews living there is a very different dream to occupying Hebron and Nablus by living alongside the Arabs - as currently occurs in Haifa and Jaffa. And the Palestinian right of return? This plea will continue to fall on deaf ears. Cohen must have had the title of one of Oz’s books in mind - The Hill of Evil Counsel - when penning this gem of gratuitous advice. Stick to writing fiction, Amos. This latest effort could be the basis for another best seller.